We’ve gotten food from My BBQ at Glendale a few times now – Chinese takeaways with rice or noodles beds, steamed dumplings, and delicious roast duck! 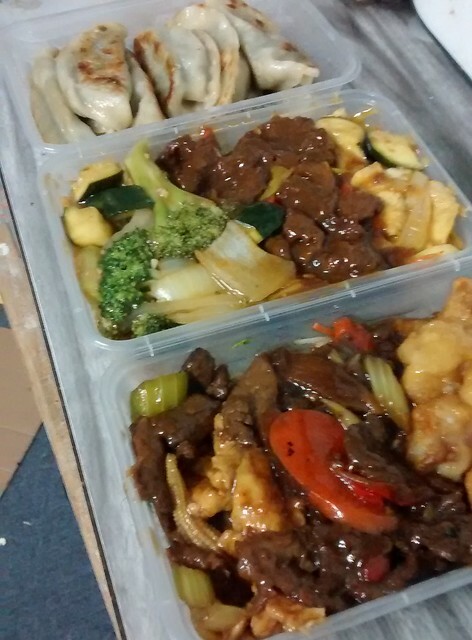 Last night we had a Guitar Hero night with my sister and her boyfriend, and got two $10 takeaway tubs with rice and noodles, along with Mongolian beef, chicken satay, honey chicken, oyster sauce stirfry, mixed veges, beef n blackbean, plus a tub of 10 seafood dumplings for $9.50. ← We can be happy…. Underground!